It is no big secret that I look forward to growing fresh herbs on my deck planter each summer. All summer long and into early fall, I enjoy harvesting fresh basil, parsley, and mint straight from the plants and using them in my everyday cooking and baking. But once the cold sets in and my outdoor herbs have withered away and died, I either fall back on my jars of dried herbs or spend a small fortune on cut & packaged "fresh" herbs from the grocery store. Don't get me wrong. I am not knocking my dried herbs. In fact, I have an entire "toolbox" of them on my kitchen counter. ;) But let's be honest... fresh cut herbs are just better. They are brighter, more flavorful, and are just so much nicer to cook with. From un-boxing to assembly, it took me less than 10 minutes to put my AeroGarden together. And trust me when I say this- assembling things is not one of my strong suits. Then I just filled the base with water, added in the nutrients, and snapped in the seed pods. The AeroGarden came with everything I needed to get started. And once you get it going, it is pretty much worry-free. 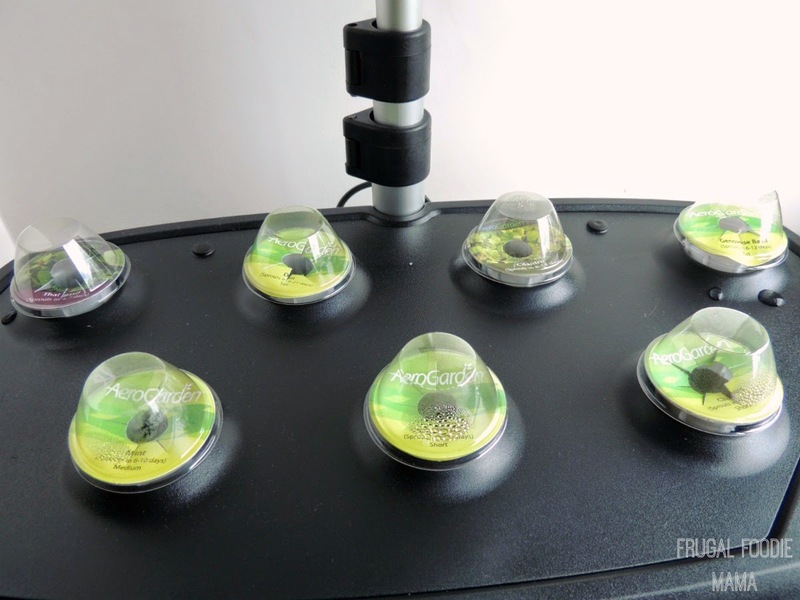 The AeroGarden is programmable based on what types of plants you are growing. It automatically kicks on and off the grow lights each day, and alerts you when you need to add water and more nutrients. Be sure to follow along with me on Instagram to see my photo updates as my herbs start to sprout and grow! 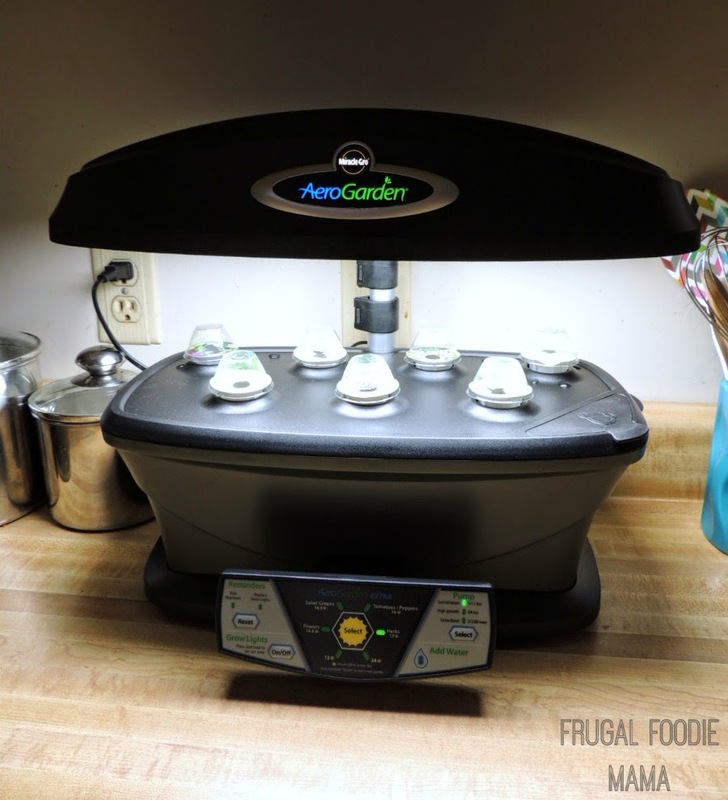 Could you use a MiracleGro AeroGarden in your kitchen? 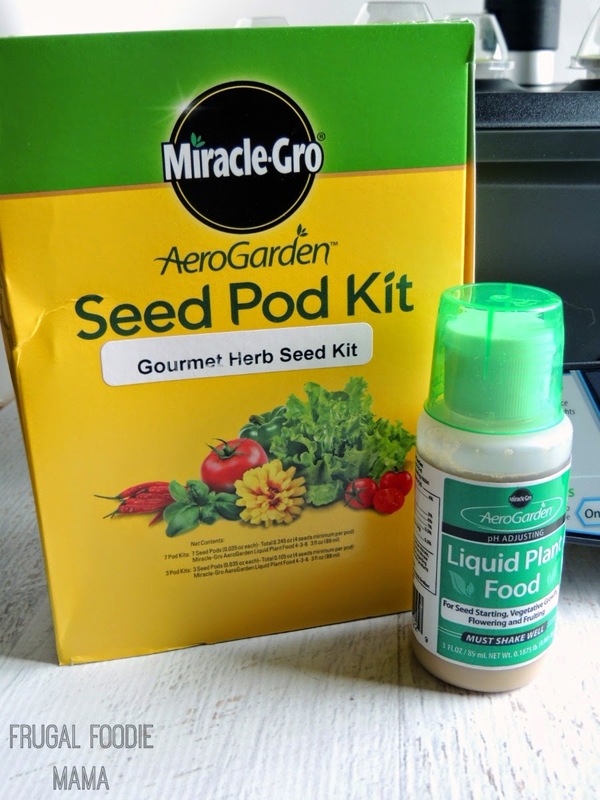 Well, you just may be in luck because AeroGarden is going to give one of my readers (quite possibly YOU!) 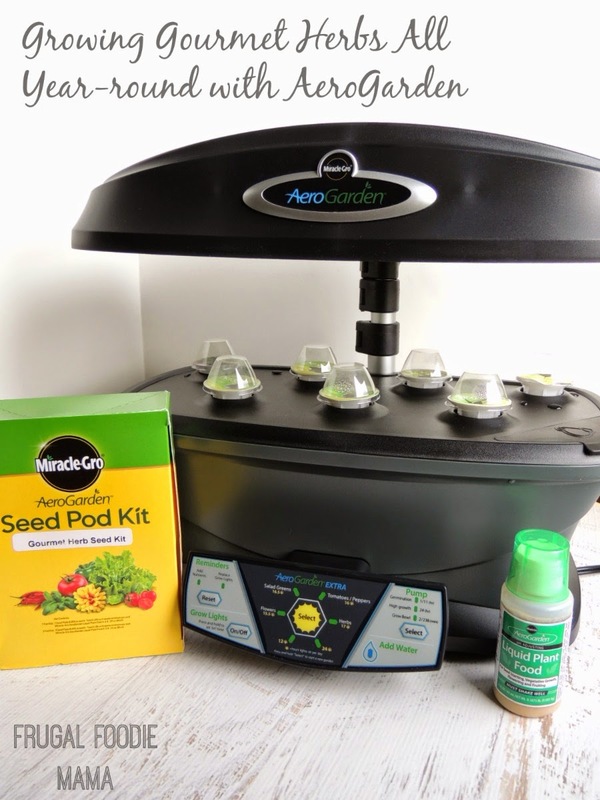 an AeroGarden prize pack consisting of an AeroGarden with the Gourmet Herb Seed Pods, an herb infuser, gardening cookbook, berry bowl, and a cutting board with prep station! *This giveaway is open to U.S. residents only. All entries for the winner will be checked and verified, so please make sure you are doing what you are claiming in the Rafflecopter or all your entries will be voided. No funny business, folks. ;). By entering, you give the right to use your name and likeness. Number of entries received determines the odds of winning. One winner will be selected. The winner will be notified via the email they provide, and will have 48 hours to reply to the email. If the winner does not reply back within the 48 hours, they forfeit the prize and a new winner will be chosen via Rafflecopter. The prize will be sent directly from the sponsor. Carrie of Frugal Foodie Mama is not responsible for the delivery of this prize. Entries must come from your MAIN social media accounts, not accounts that have been set up separately just for entering giveaways. Entries from these types of accounts will be disqualified. Protected tweets do not count as an entry method for tweeting. Tweets must come from a public account. No purchase necessary. Void where prohibited by law.